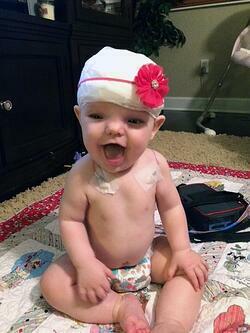 RSC knows that having your child undergo any medical test can be overwhelming and even scary. Our goal is to make the process as easy as possible for you and your family. We have prepared this short summary of what to expect since we understand that the more you know about the ambulatory video EEG study, the better you will feel. How Do We Prepare for a Pediatric Ambulatory Video EEG? 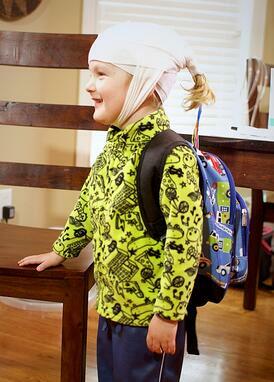 Make certain your child has 3-4 button down or zip up shirts ready to go for the duration of the prescribed EEG study. Find their favorite backpack and let them use it during the study to carry the “headbox”. Watch some Pediatric EEG videos online together to ease your child’s fear. Explain to your child that a Technician will be coming to your home to set them up for this very special test – No doctor’s office or hospital stay is needed. Yay! What Happens on EEG Set-Up Day? An RSC Technician will arrive at the scheduled time to your home with 2 big bags of equipment. Your child will have plenty of time to meet their Technician and ask any questions about the headbox, leads/wires, camera, adhesion gel, etc. Your child’s hair will need to brushed and free of any ponytails, braids, weaves, hats, etc. Measuring tape and red pencil will be used to measure your child’s head so that the Technician knows exactly where to place the electrodes. Electrodes will be attached using a collodian gel that feels cold. An air compression machine is used to dry each electrode to help it stick. This machine sounds scary but it only creates a burst of air. Attaching all of the electrodes can take a bit of time and kids get restless. Be prepared with some of your child’s favorite things to keep them content and wiggle free as much as possible. 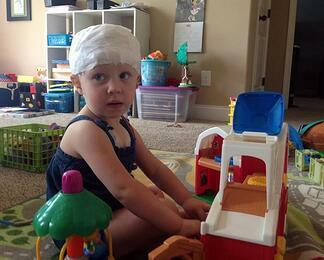 All of the electrodes will be protected by gauze and then a soft bandage wrap around your child’s head. Your child will have a long “tail” of wires leading to the headbox. The headbox will be placed in your child’s favorite backpack during the study. Sleeping can be a tiny bit tricky so put the “tail” of leads above your child’s head so the “tail” won’t interfere with their sleep. Keep your child on camera as much as possible during all eating, sleeping, reading, playing, watching TV, etc. Use the Patient Diary as instructed by your Technician. Use the Event Button as instructed by your Technician. Make sure your child does the “Eye Test” every day as instructed by your Technician. No scratching the leads. No chewing gum. No running. No jumping. No excessive sweating. No bathing. Some kids are too self-conscious of the leads and do not want to go out during the test. Others may want to spruce up their look with a loose fitting scarf, bandana or hat. What Happens on EEG Disconnect Day? It is a relief when your RSC Technician arrives to disconnect the equipment. Removal of the leads can be tough since it is important we do a good job of adhering them in order to capture the brainwaves your doctor needs to review, but we assure you it is pain free. Taking off the EEG leads is done with a spray bottle of an oil-based remover made specifically for the glue we use. Your Technician will spray each piece of gauze to let them soften up. Once all leads are covered in remover, we will begin to remove the gauze pieces. We now remove all of the wires and begin to work out the thick, white paste and glue that is left in your child’s hair. Please note that you or your child will need to wash their hair 2-3 times in order for complete removal. We recommend taking in a comb to the bath or shower to continue to brush out any remnants of glue. If you come across any hard pieces of glue you can use the following products at home to help remove it – Dawn Dish Soap, Olive Oil, Baby Oil, Hair Conditioner. 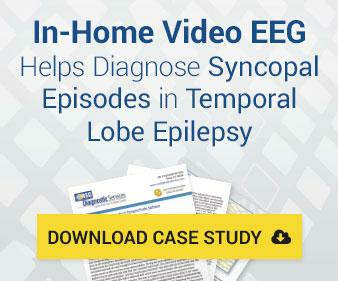 Your child’s complete EEG study and video will be synced together and archived into an easy-to-read file for your physician.